Experts believe that Brazil, the world's fifth largest country and its seventh largest economy, will be one of the most important global powers by the year 2030. Yet far more attention has been paid to the other rising behemoths, Russia, India, and China. 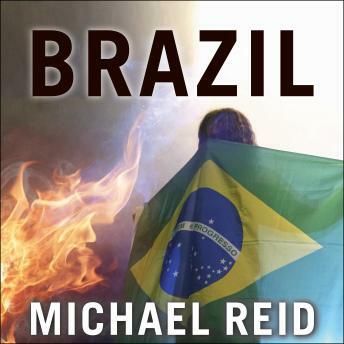 Often ignored and underappreciated, Brazil, according to renowned, award-winning journalist Michael Reid, has finally begun to live up to its potential but faces important challenges before it becomes a nation of substantial global significance. After decades of military rule, the fourth most populous democracy enjoyed effective reformist leadership that tamed inflation, opened the country up to trade, and addressed poverty and other social issues, enabling Brazil to become more of an essential participant in global affairs. But as it prepares to host the 2016 Olympics, Brazil has been rocked by mass protest. This insightful volume considers the nation's still abundant problems-an inefficient state, widespread corruption, dysfunctional politics, and violent crime in its cities-alongside its achievements to provide a fully rounded portrait of a vibrant country about to take a commanding position on the world stage.